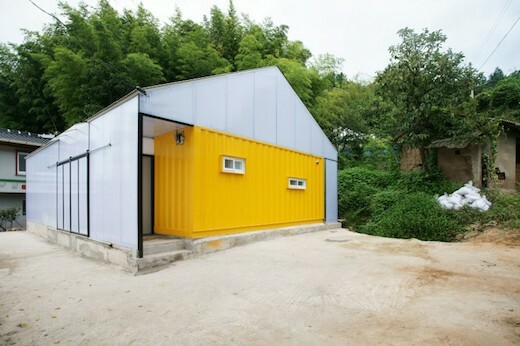 The Low Cost House measures 1076 square feet and is located in a small village in the countryside. 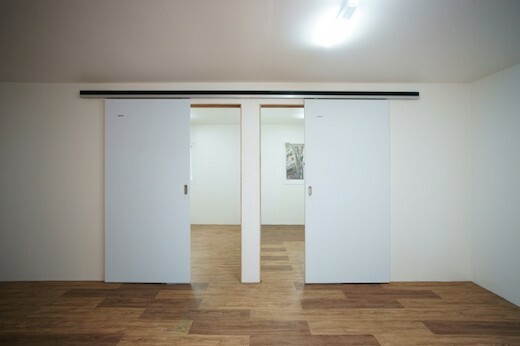 It is the second home to be sponsored by the Korea Child Fund to try and improve the living conditions of low-income families in the area. The plot of land on which Low Cost House now stands did hold another house before construction began, but it was torn down due to its run down state. Upon inspecting it, the architects decided against trying to renovate it, and instead opted to begin from scratch. 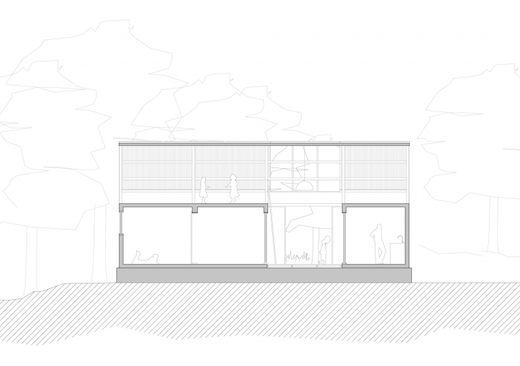 Originally the shipping containers were meant to provide the main living areas of the house. However, the architects soon discovered that the insulation was not sufficient and that there just wasn’t enough free space. To solve this problem, they opted to build a large surrounding structure that looks much like a barn, and placed the containers within it, effectively making a “house within a house” as they call it. 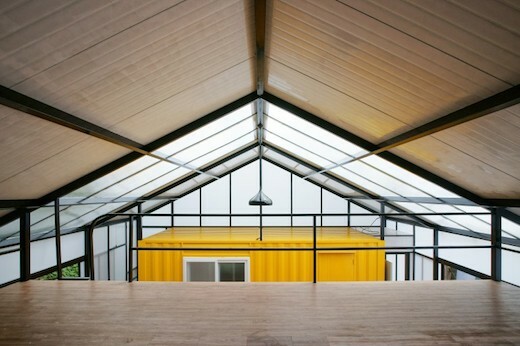 Because of this architectural solution, the extra roof and additional exterior walls provide additional space between the containers, offering more comfort to the inhabitants. The enclosing structure also created additional space in the form of an attic. 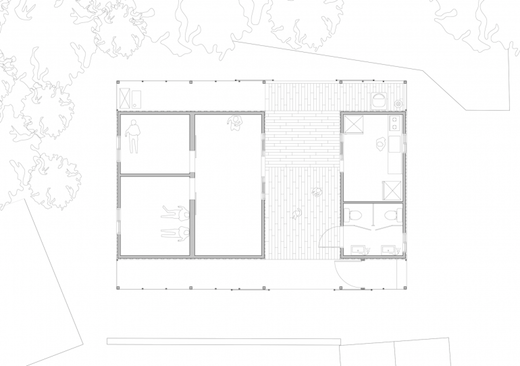 To let in as much natural light as possible, the roof of Low Cost House is partly-translucent. The house was also painted in bright, vivid colors, to make the home as cheerful as possible. 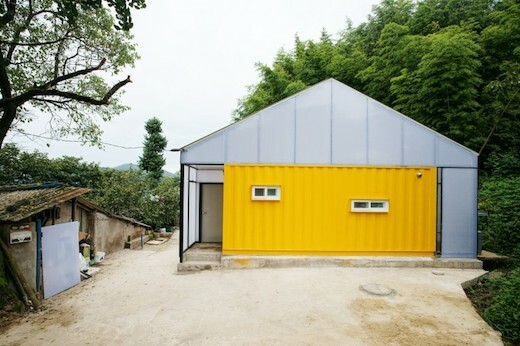 Enclosing the shipping containers within a surrounding structure is certainly one way to deal with the insulation problem. However, doing it this way also reduces some of the benefits of using shipping containers to build a home out of. Interesting project. 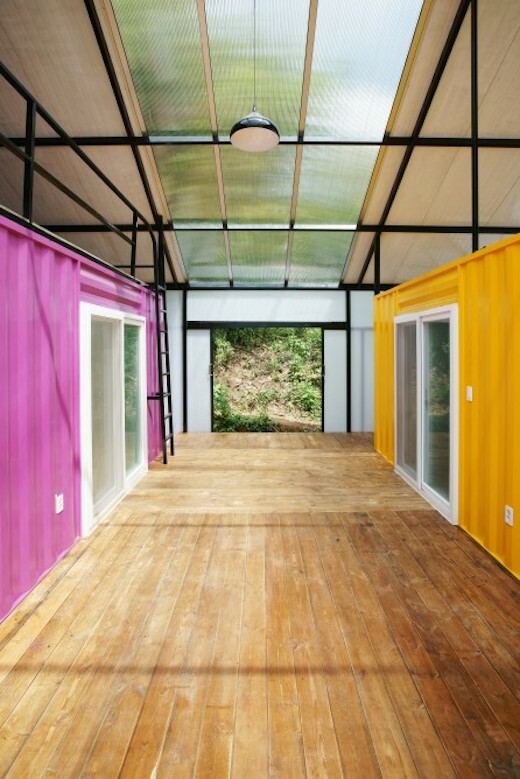 But, I’m beginning to wonder what this fascination with shipping container housing on this website is all about. The containers seem sturdy but wouldn’t the roof of the “barn” get damaged during a powerful storm? Does the roof of YOUR house get damaged during a powerful storm?? ?